Search engine optimization is incredibly important. That first page of Google results is the ultimate billboard for your services but getting on it and staying there is an inherently complicated process that has become significantly messier in recent years. Just about everyone now claims to be an SEO expert, touting some secret sauce recipe that only they can use to push your site to the top of the listings. Don’t fall for the trap. A few back-end tweaks to your website won’t get you to the first page of search results. Advancements in the algorithms that power the search engines have put the power in the hands of the searcher. To rank well, your site must offer tangible value to the people who are searching for your services. There are hundreds of factors that influence search rankings, but when boiled down, there are three important categories to focus on: on-site SEO, content creation, and off-site SEO. Copywriting – Every page of your site should provide optimal value for your visitors. That means high quality writing that is focused on specific pain points of your target personas, and how your company can resolve them. Don’t blindly follow the guidance of SEO tools that may recommend stuffing your site with keywords. To provide value to your site’s visitors, it’s most important to be clear, focused, and relatable in your copywriting. Service Pages – At the same time, no matter how good your copywriting is, if you don’t have a page on your site dedicated to a specific service, it’s unlikely you will rank for that term in the search engines. If you provide IT Consulting, make sure there is a page on your site titled “IT Consulting,” that explains exactly what you offer. Industry Pages – If you target a specific industry, create a page on your site that explains how you serve that industry. For example, if you’re targeting medical offices, you may mention that you're HIPAA compliant and include testimonials of your happy medical office customers. This can benefit your SEO and it can also be useful to your sales team. Location Focus – Ranking on the first page of results for something like “IT Support USA” is nearly impossible unless you’re a large corporation with a huge budget for SEO. However, ranking on the first page for something like "IT Support Portland" is a much more achievable goal. Once you’ve identified your local region target, include it in your site’s title tags. Crawlability – On the technical side, you need to ensure that search engines can crawl and index all the pages on your site that you want to be shown in search results. Likewise, you should make sure that search engines can't access pages that shouldn't be included in search results (e.g., the backend of your website or landing pages that you've duplicated for various marketing campaigns). This isn’t a fully inclusive list for on-site SEO, but it’s a good starting point and will help build your SEO foundation. If you’re a Pronto client and subscribed to a Managed Website, on-site SEO optimization is included in your service. Pronto’s Search & Advertising team conducts on-site optimization when your site goes live and will gladly answer any questions that you have along the way. Once you’ve got your on-site SEO taken care of, it’s time to start thinking about how you can stand out from your competitors. If your competitors have their site optimized with good copywriting, service pages, location focus, etc, why should the search engine rank your site higher than theirs? Search engines are trying to deliver the best search results to the searcher. So the question becomes, what can you do to make your site the best search result? This is what I’ll be covering the the following sections. The second piece to a good SEO strategy for MSPs is content – specifically on your blog. This is content that answers specific and common questions you receive from your clients and prospects. They will likely relate to technology but may cover topics that small business owners frequently search for, or questions they have that relate tangentially to your services. The goal here is to have fresh, unique, and consistently published content. Instead of competing only for high level terms like “IT support Portland”, you may show up for “how much should I pay for IT support in Portland” or “what are the most common problems when moving to the cloud”. These are called long tail keywords. If you answer these questions with blog content, you have a better chance of ranking when someone types them into a search engine. For this strategy to be effective, you must put in time and money. The content can’t be taken from your vendor sites and it can’t be syndicated. It must be content that is only published on your website in order to get the SEO benefit. Content that is syndicated from other sources may help with user engagement on your site, but it provides no original value to your users and search engines will ignore it when indexing your site. To select the right blog topics, start with your audience. Map out who you want to engage with and which personas you will write for. You can read more about MSP buyer personas to better understand some of the different decision makers who may read your blog. From here, you’ll have an easier time brainstorming blog topics that will be highly relevant to your target audience. You’ll find a wealth of blog topics in the conversations between your sales team and clients and prospects. If you hear these questions frequently in meetings, those same people are almost certainly searching for them online. Preemptively answer these questions, provide valuable resources to your target prospects, and engage with them before they even enter the sales conversation, and you’ll enhance your brand credibility and benefit from stronger search rankings. The third piece of the SEO puzzle, and arguably the most important, is the relative authority of your website compared to your competitors. 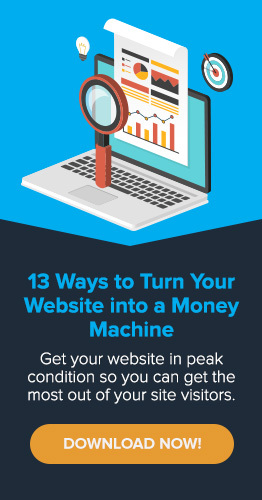 This includes some factors that you don’t have control over, such as the age of your domain name, and other factors that you can influence, such as the relative popularity of your site. Remember, search engines are trying to deliver the best search results to the searcher. If a website is already popular for a certain subject matter, chances are a user searching for that subject on Google or Bing would also find that website useful. So how do search engines assess the relative popularity of a website for a certain subject matter or topic? Search engines are constantly crawling websites with bots to identify where the content resides on the internet. But they don’t stop there. If a search engine bot sees a hyperlink, it will check to see where that link goes. If a specific blog post or webpage is getting links from several different websites, the search engine is likely to consider it popular. The links themselves are called backlinks. While more backlinks going to your website is usually better, they are also weighted. Links from sites with higher Domain Authority (which in turn have more and better links themselves), will provide more value to your site if they link to you. Alternatively, irrelevant backlinks from sites that aren’t credible are more likely to harm your SEO than to help. You can read more about Domain Authority, a score provided to individual domains and specific URLs within those domains indicating their relative strength compared to other sites, on Moz. Speaking of backlinks, the link above goes to the Moz website so Moz just received a backlink! So how do you influence your backlinks and Domain Authority? Local Chamber of Commerce – Your local Chamber of Commerce site is highly credible, has a high Domain Authority, and has a strong relevance to your business. Getting your business published on their site is a good first step to building inbound links. Guest Blog Content – Reach out to relevant sites with high domain authority that accept guest blog content. Offer to write them a blog post at no cost in exchange for a link to your site. They get quality content for their audience, you receive a backlink, and your overall credibility and exposure increases. Subscribe to Advanced SEO if you’d like us to do this for you. Press Releases - If you’ve done something truly newsworthy recently, be sure to write a press release about it. Your press release can be sent to a press distribution network such as PRWeb. Make sure that it’s something worthy of being shared. If the content isn’t newsworthy, it won’t get picked up by the news outlets and thus won’t benefit your SEO. Work with Vendors on Case Studies – Offer to write a case study to publish on your vendor’s website – once completed, it will link to your website. The goal here is not just quality links, but also contextual links. You want links from content that is specifically related to the things you do. If you have an IT Consulting page on your website, for example, getting a link from a highly respected website’s blog post about IT Consulting is immensely valuable. Whatever you’ve read online, there is no “quick fix” to SEO which will get you ranking #1 in the search results. Google employs some of the smartest people in the world, and their algorithm is constantly changing and adjusting to the ways in which people try to game the system. Rather than try to outsmart them, follow the rules and make your site better and more valuable than those of your competitors. This alone will often be enough to get your site ranked higher in Google and Bing. 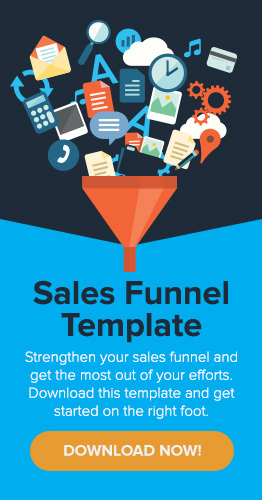 Lastly, don’t forget that to get new clients, you must appeal to your audience and convert them into leads via your sales funnel. SEO can help drive traffic to your site, but make sure you’re doing everything you can to convert leads and follow up with them through relevant emails. If you’d like our help, check out our MSP Marketing Engine Programs which cover blog writing, off-site SEO, and lead conversion. Learn the key elements of SEO so you can optimize your website and drive more traffic.